What could be better in competitive sports than beating your opponent? For a few Washington Wizards basketball players, a free Chick-fil-A chicken sandwich would seal the deal. On Monday, December 1st—before the Wizards defeated the Miami Heat by more than 21 points—the Wizards’ Kevin Seraphin fouled Hassan Whiteside from the Heat. As the crowd yelled in the final seconds of the game, Marcin Gortat noticed the Fowl Shot promotion on the Verizon Center video board. Every fan present at the game would win a free Chick-fil-A chicken sandwich—but only if Whiteside missed both free throws. 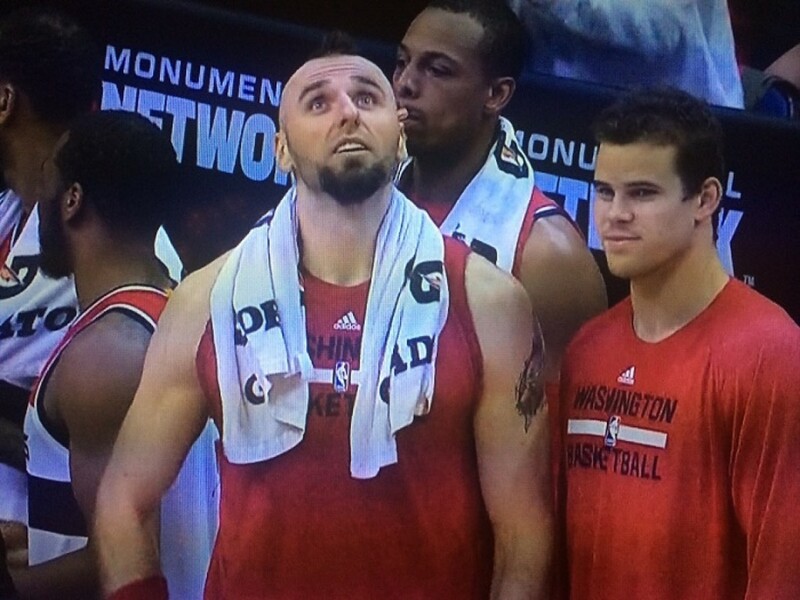 “I want Chick-fil-A,” Gortat is spotted on video saying. A Hoop District Vine Video that’s gaining national attention captures Gortat mouthing, “I want Chick-fil-A.” Both Gortat and John Wall celebrate with fans as Whiteside misses. The video of the players’ reactions are documented in this Washington Post article—this comes just weeks after the Northwestern College Football Team cheered for Chick-fil-A after their postgame winner over Notre Dame. “I want Chick-fil-A,” Gortat is spotted on video saying. Both Gortat and John Wall celebrate with fans as Whiteside misses. Read the full Washington Post article to see videos of the players’ reactions.